Receive (20) packages of this excellent cooking and bread dipping blend. Judi's "Original" for only $69.95 FREE SHIPPING!!!! 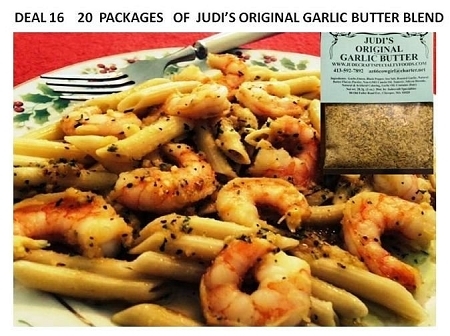 This "Original" recipe by Judi is an outstanding olive oil blend. Use for shrimp scampi, bread dipping, garlic mashed potatoes and so much more. Stock up today while this deal price lasts!